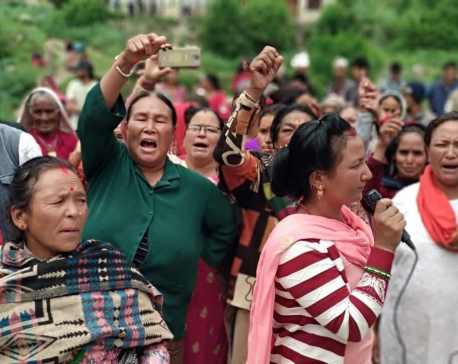 KATHMANDU, April 14: Ang Rita Sherpa -- popularly known as 'Himchituwa' (snow leopard) for his 10 Everest ascents without supplemental oxygen -- is in a critical condition following a brain stroke. Sherpa is currently receiving treatment at Neuro Hospital in Bansbari, Kathmandu. According to his family members, he was rushed to the hospital last Thursday after the stroke. Sherpa was normal until the dinner time that day, but he had the stroke while he was sleeping. He was first taken to Medicare Hospital which then referred him to the Neuro Hospital. 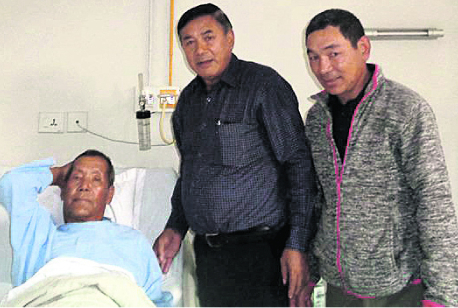 After receiving treatment at intensive care unit for five days, Sherpa has now been shifted to the general ward, said his daughter Dolma Lamhu Sherma, adding, however, that his condition is not normal yet. Ang Chhiring Sherpa, president of Nepal Mountaineering Association, also said his health condition is still critical although he has been taken out of the ICU. “He is in a very serious condition. He has blood clots in his brain and also has problems in liver,” he said, adding the association has been bearing all the treatment costs. The government has also assured support. “His economic condition is very poor. So the association is helping him now. We've informed this to all government officials concerned, and we have been assured that the government would extend its support,” he said. Ang Rita had started facing health problems after the death of his eldest son in 2012. Recently, his youngest son Landuk broke his leg while he was at the Everest base camp. Landuk is receiving treatment at Nepal Medical College, Jorpati.